I love Valentine’s Day. I love romance and flowers and champagne and all that good stuff. 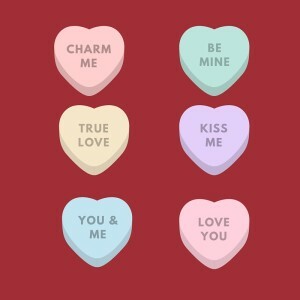 You can argue all you like about the commercialism of February 14th, but I will defend all things Valentine with all my heart and soul. Whether you are in a wonderful relationship, looking for love, or happily single, the Tarot brings insight, guidance and illumination to matters of the heart. 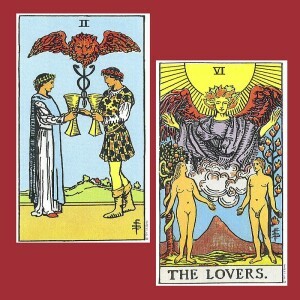 Make the Most of Your Tarot Reading: Love & Romance – Thinking of having a Tarot reading on the topic of love? Here are ways you can prepare and make the most of your time with the reader and the cards. Looking for (and finding) Love in the Cards – A lot of people come to me to consult the Tarot about matters of the heart, relationships, LOVE. During these readings, we chat about how happy the client is in their current relationship, how they have truly found their soul mate, how blissfully contented they are with their perfect partner…AS IF! Today’s Tarot Message: The Lovers – Quick (yet deep) insight into the Lovers card, and a message you can carry with you to inspire you today. Consulting the Tarot about love goes deeper than wondering when you may find your soulmate, or trying to discern what someone thinks or feels about you…it is universal. Love is what brings out the best in us, connects us with the Divine…its power is not to be underestimated. Find ways to express love for yourself and those around you, blaze with love. This is what brings change in ourselves, and change in the world.